Wizard of Oz Wicked Witch Mrs. Potato Head is in stock! Mrs. Potato Head pays homage to one of the most recognized film villains of all time, the Wicked Witch of the West from the classic film The Wizard of Oz! This cool Mrs. 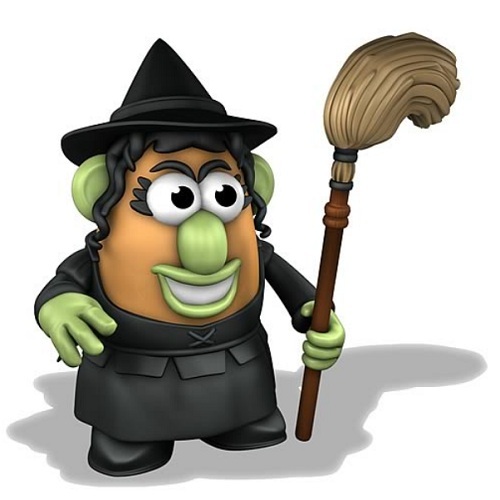 Potato Head Wicked Witch of the West stands 6-inches tall and comes in window-box packaging, with a black top hat and a broom accessory. Order yours now, my pretty! Ages 2 and up.